Recently, a couple of firms have created short pedestrian bridges built with robots. The company MX3D created a steel bridge that was printed by a robot (with the help from ARUP and Autodesk). The bridge was built off-site and it will be carried to a river in Amsterdam where it will be assembled. The original design was to be printed at the site but it was so complicated they had trouble analyzing (or building) it. They scaled back their ambitions slightly for this somewhat more practical design (photo of steel bridge by Adriaan de Groot). 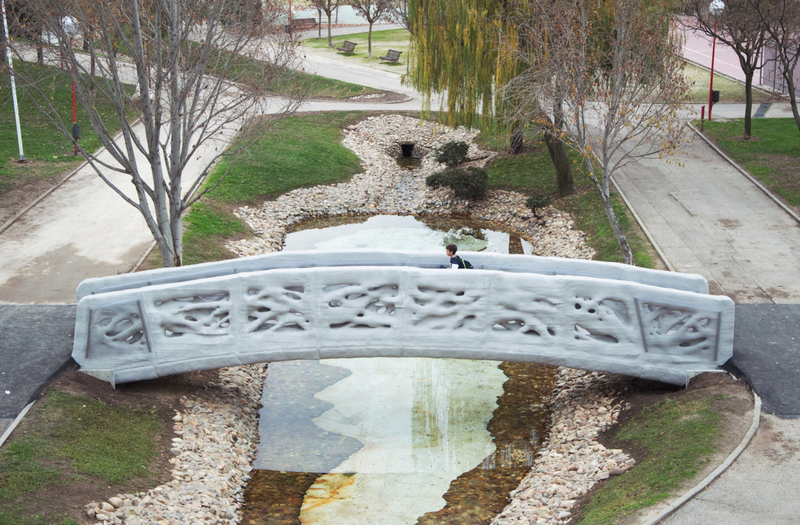 A similarly organic-shaped bridge was printed using microfibers and cement as ink. However, unlike the steel bridge, the concrete bridge has already been assembled on site in Alcobendas (northeast Madrid). 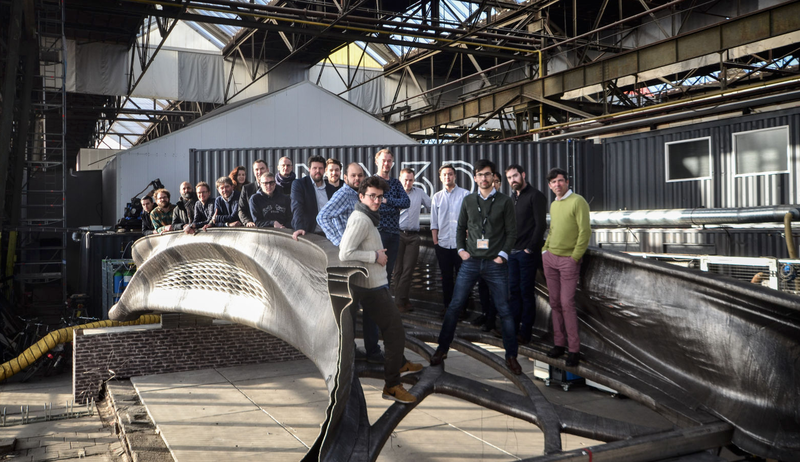 The bridge was designed by the Institute of Advanced Architecture of Catalonia (IAAC) and constructed by Acciona using a machine that was designed and built by D-Shape (photo of concrete bridge by IAAC). Both bridges turned out to require much more work (and more money) than was originally anticipated. However, such struggles should be expected when developing new technologies. What it means for me and other human bridge engineers is less certain. Your prosaic design may point the way to the future of 3D bridge printing better than the poetic concoctions that I presented. I like the steel one the best, but yes, I think it is probably not the future, certainly not the near future, anyway.